Long before he was the most unlikely avant-garde singer of the late 20th and early 21st centuries, the late Scott Walker was a pop star — and, during the decades in which being a pop star meant being an interpreter, an alternately remarkable and frustrating one. With the not-actual-siblings Walker Brothers, Scott made a popular impression on the charts with singles that outdid the originals on the charts, whether it was the Bacharach/David “Make It Easy On Yourself” (first cut by Jerry Butler) or the Bob Crewe/Bob Gaudio Four Seasons braintrust’s “The Sun Ain’t Gonna Shine Anymore” (a flop in the hands of Frankie Valli). When the pop life soured, Walker broke free as a solo artist whose first big revelations came largely from his English-language reworks of songs by Belgian chanson great Jacques Brel. Then came the ’70s, and a burnout that Walker blamed on alcohol, disillusionment, and contractual obligation; the cover versions he recorded during the first half of the decade were so rote that Pulp evoked “the second side of ‘Til The Band Comes In” as emblematic of both a metaphorical and literal “Bad Cover Version”. Sure, he had his high points, but nobody missed Scott Walker, Cover Artist when Tilt hit the shelves. If Walker’s career as an interpreter was a mixed bag, how well was his own work interpreted? For someone whose career spanned more styles than it did decades, it’s surprising that there isn’t a real surplus of Scott Walker covers. It’s as though those who knew about his singular talents — both as a smooth if enigmatic crooner and a horror-wracked portent — mostly felt reverent enough to avoid even trying to replicate them. But those who tried found a few different routes into Walker’s music, only some of which were carefully faithful. 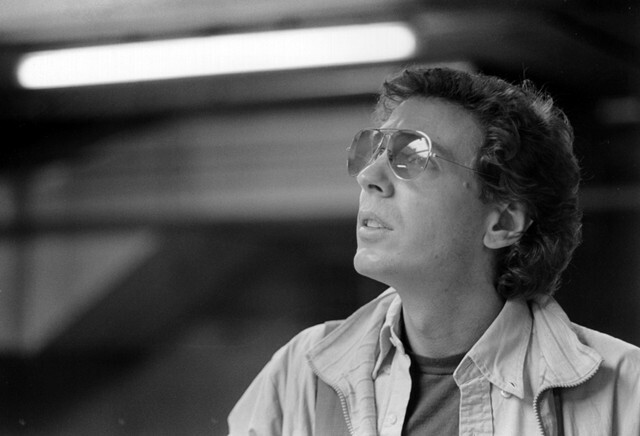 Three years before the former half of Soft Cell pulled his own Scott Walker move by recording an entire album of Jacques Brel covers (1989’s Jacques), he made his Walker fandom clear by recording a synthpop rendition of the 1967 “Jackie” B-side “The Plague” for his 1986 cover versions EP A Woman’s Story (Some Songs To Take To The Tomb – Compilation One). He’d been performing it live for a few years at that point, but it really coheres in the company of other covers of songs popularized by Cher, Eartha Kitt, and Lee Hazlewood as an exhibition of how ’60s pop that existed outside the parameters of blues-chord rock’n’roll or deep Southern soul could still sound profoundly haunting. Almond’s “Plague” sounds a lot more austere than the apocalypse Motown of Scott’s original — not just in its instrumentation, with its gated drums (and gated nearly everthing else), but in its pacing, which seems to drag like a dirge even at midtempo. And even with Almond at his most theatrical (“Have desires, they fly away”), the anxiety of death isn’t hard to shake; at the early heights of the AIDS crisis, a verse featuring the lines “But like a falling star burns itself out/ Like a dead leaf scrapes across the ground/ My voice cries out, a gravelled sound/ But no one’s there to hear me but the Plague” sounds like a very distinct sort of lament — or condemnation. But their hellraising might’ve overshadowed their sincerity, too. This Scott Walker cover appeared on 1991’s Bertie’s Brochures, though it’s the deranged carnival nightmare rap-rock rework of R.E.M.’s “Shiny Happy People” that got all the notice on that album; irreverence for the omnipresent usually wins out over appreciation of the underrated in scenarios like this. But for a somewhat subdued arrangement — solo piano instead of the original’s full orchestration, and Coughlan’s quietly reflective melodicism over the to-the-rafters power of Esther Ofarim — it gets the spirit right. Not everything has to be the Mother of God up your b-hole. The original version of this might be one of the most resonant 90-seconds-or-less songs ever recorded — a voice, a guitar, and a rumination on paralyzing stasis in the face of figuring yourself out played off the stage by a tinkling music box. I have no idea what about that would even begin to work as churning, five-minutes-and-change demi-grunge, but props to Catherine Wheel for figuring it out. Keeping that odd blend of ambivalent suspended immortailty and arch confidence intact while maximizing the oomph of a song that seemed definitive as a brief meditation is a hell of a feat. They do pare back the wall of sound for that extra repetition of the first verse, which helps; every little extra bit of dynamics is worth it when the song lends itself so well to the idea of loud-quiet-loud. 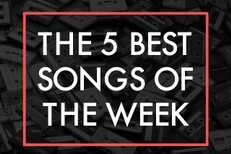 Hear the folk and hear the shoegaze: Which one would your rather be? I doubt I could say much about this song that my dude Chris O’Leary hasn’t: my go-to writer for Bowie Studies can and will go deep on the reflection of interest between Scott Walker and the man who’d define the new parameters of rock in 1970s Britain. In short, Bowie revamped Walker’s pop ennui through his own early Jacques Brel-isms before taking off into the glam stratosphere; a wayward Walker later absorbed the Berlin albums and reinvented himself, Walker Brothers in tow, with the refracted mutations of 1978’s Nite Flights before receding into the darkness for another half a decade. And then, after an ’80s that pulled Bowie past what appeared to be a pop-compromise point of no return, David gave the title track “Nite Flights” a shot, sort of a way of recentering himself. And he made it sound easy, for both better or worse; where Walker strained and flattened himself and braced for some imminent breakdown that may have only arrived after the fadeout, Bowie just hit all those unlikely notes like they were instinct. If you want to keep that anxiety of influence going, the house-adjacent Nile Rodgers co-production that Black Tie White Noise rode off makes for an odd but fitting contrast to the disco moves of the Walker Brothers’ original (though by “disco moves” I guess you could say it’s like dancing in a meat freezer). Aside from reckoning with the fact that the first Neko Case & Her Boyfriends album reached drinking age by the time her latest great Hell-On dropped last year, the thing that throws me the most about this early sign of Neko’s knife-to-the-heart presence is that you have to strain to hear the inexperience and uncertainty in her voice, if there even is any. Maybe there’s some fragility in the chorus? Though compared to Walker, who circa Scott 4 was so finely-tuned that each ache and crack in his voice seemed particularly deliberate, it’s probably more a matter of intent than anything, and the feeling comes across like it’s supposed to anyhow. Meanwhile 1969 easy listening translates seamlessly into 1997 alt-countrypolitan, and not to its detriment. The twist, then, is that in the event that they were called on to contribute to a tribute album centered around the 2006 Scott Walker documentary 30 Century Man, they made a different transformation: “Manhattan” as it might have sounded if Walker’s turn towards the avant wasn’t as severe, and still kept one foot in the semi-acoustic/orchestral opulence of his late 1960s work. Sarah Cracknell’s lead vocal is as weirdly beguiling as Walker’s was weathered and doomstruck, and if that’s not exactly faithful to the mood of the original, the fact that you can still hear the underlying unease of it all makes her voice just that more disconcerting. Here, live, is the faithful-to-a-fault version of “30 Century Man” that Catherine Wheel were largely disinterested in playing — at least for the first verse, where Bradford Cox manages the melody and the mood without quite hitting the gravity. The fact that the rest of Deerhunter throws in and gives the song an actual backbeat doesn’t shift the needle that much, which only does that much more to underscore how far away you need to get from the original arrangement to justify giving it a shot. But as a brief moment in an encore, why not go for it? Here is the man most famous for, and likely most weary of being famous for, fronting Led Zeppelin, singing the opener of Tilt about the relationship between director Pier Paolo Pasolini and his lover Ninetto Davoli. I leave it here with no further comment aside from the fact that it may make a lot of people far angrier than it made me.